At the outset, I would like to join the previous speakers to congratulate you and the members of this bureau on your election. We are convinced, Mr. Chairman, that under your leadership this session will be a success for all of us. Taking this opportunity, let me also assure you of my delegation’s full support and cooperation in the deliberations ahead. I further wish to thank the Secretary-General for his reports and recommendations contained therein under this agenda item. The adoption of the 2030 Agenda for Sustainable Development was an important achievement for the international community to respond comprehensively to the most pressing issues of our time. On our part, the Government of Afghanistan remains committed to the achievement of sustainable development with an overarching objective to reduce poverty and promote socioeconomic development. In this regard, I am happy to inform that our national policies, strategies, and development plans are aligned with the goals and targets of this agenda. 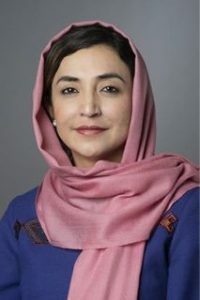 Afghanistan was one of the countries that presented its Voluntary National Review to the high-level political forum on sustainable development this year. Afghanistan’s National Peace and Development Framework (ANPDF), which serves as the roadmap for the welfare of our people, recognizes “Poverty Reduction and Social Inclusion” as the main agenda in moving the country towards sustainable development, economic growth, and prosperity. This framework identifies three national priority programs to achieve its goals of poverty reduction and social inclusion, namely, Social Protection, Women’s Empowerment, and Citizen’s Charter. Under the social protection program, we are working to reduce poverty, primarily by helping the poor to increase their skills and productivity, and by providing them with access to labor intensive paid employment through the Jobs for Peace Program. While investing in increasing opportunities for young people is the central focus of our poverty reduction strategy, there is still a substantial population of vulnerable, disabled, widowed, and elderly citizens who need carefully targeted and professionally managed assistance. Women’s empowerment in social, economic and political spheres is the top blueprint of the Government of Afghanistan. Under the ANPDF, Economic Empowerment of Women is a National Priority Program (WEE-NPP). The program will provide start-up technical and financial support to women-owned businesses, along with job skills, and financial literacy. These investments will complement and be delivered through the existing mechanisms and institutions, focusing on scaling-up successful interventions. Another National Priority Program is the “Citizens’ Charter” which is a foundation stone for realizing the government’s self-reliance vision, contributing to poverty reduction, sustainable development, and socioeconomic growth. 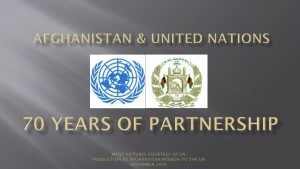 It is a promise of partnership between the Government of Afghanistan and communities. In other words, the Charter is a commitment to provide every village of Afghanistan with basic services such as education, health, basic rural infrastructure, and agriculture, based on community’s own prioritization along with the improvement of mechanisms for service delivery. Peace and security play a fundamental role in the prosperity of societies; development cannot be assured in the absence of these vital elements. Despite many achievements, unfortunately, security challenges still remain a serious concern for the government and people of Afghanistan as terrorist groups target our public infrastructures and threaten innocent civilians, including children and women on a daily basis. According to the recent report of the UN Secretary-General, UNAMA has documented 5,243 civilian casualties during the first half of 2017. We know that these evil forces and their supporters can create hindrance in our efforts towards a peaceful and prosperous Afghanistan, but they cannot prevail forever, as the people and government of Afghanistan are strongly determined to continue their noble fight to secure their country against the enemies of humanity and civilization.